Finding maxis with sleeves is really tough. I once asked a retail employee if they had any maxi dresses with sleeves in stock. He looked at me for a minute and said, "they make those?" Yes, sir. Sometimes they do. I tracked this dress down after spotting this very pretty picture on pinterest. I just love the feminine boho vibe. These are great! I'm also determined to find a maxi dress that isn't sheer. Four of the five other dresses aren't shear. 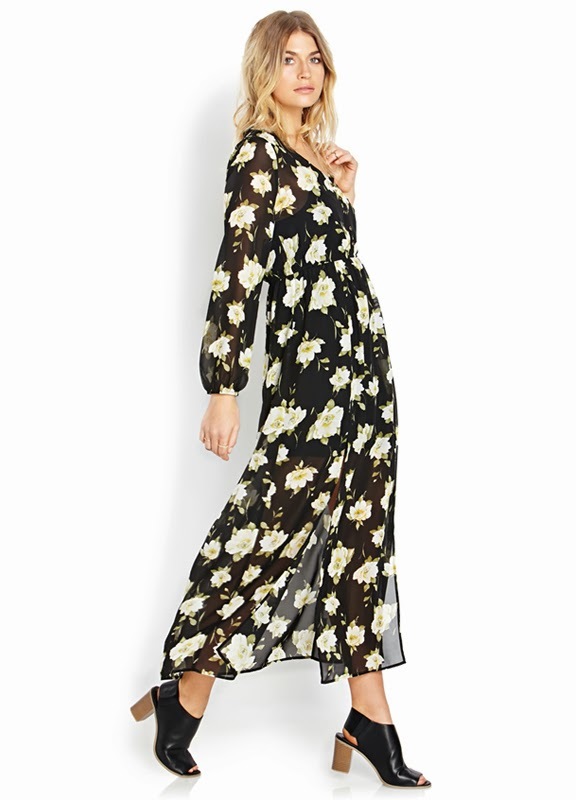 The Goddess Floral Maxi Dress is similar and pretty opaque. The only maxi dress I've ever really liked shrunk in the wash too. So sad!